If you missed country queen Dolly Parton's epic tribute performance during the 2019 Grammys, during which she sang all of the best jams from the incredible Dumplin' soundtrack, then you better watch it before you feel left out. Along with a whole host of special guests — including Katy Perry, Little Big Town, Maren Morris, and Kacey Musgraves — Dolly was joined by Miley Cyrus, who — if it wasn't already clear — shares a pretty special relationship with the country queen. Just the week before, Miley teamed up with Shawn Mendes for the MusiCares Person of the Year gala (which was held in honor of Dolly this year) to sing Dolly and Kenny Roger's 1983 song "Islands in the Stream." Before the event, Miley even posted a sweet photo of her and Dolly on Instagram with the caption, "It's YOUR night Aunt @dollyparton! Beyond deserved!" So it begs the question: are the two actually related? As close as the two are (and as similar as they might sound at times! ), Dolly is actually Miley's godmother, not a blood relation. We totally understand the confusion, though — Dolly even made a few cameo appearances playing Miley's godmother on Disney's Hannah Montana, though she was referred to as "Aunt Dolly" then, too. 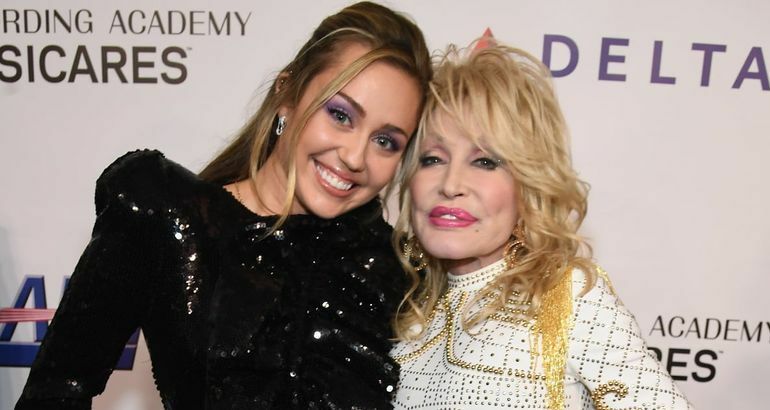 Her relationship with Miley stems from a long-lasting friendship with the pop star's dad, fellow musician Billy Ray Cyrus, and just as Miley always supports the music legend, Dolly always has her goddaughter's back in turn. When Miley faced criticism for her provocative outfits and performances back in 2013, Dolly said Miley was smarter than people believed and needed a chance to find her own way, just as Dolly herself had. 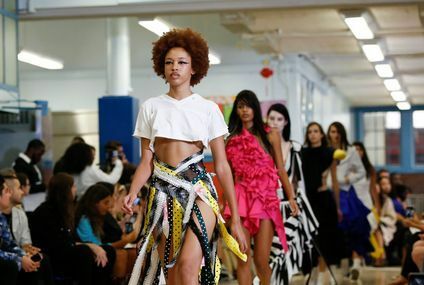 "She's just trying to find her own place and wings and learn to fly," she told Evening Standard. We'd say everything turned out just fine, so perhaps godmother does know best. Check out the gallery for pictures of the two talented ladies over the years.